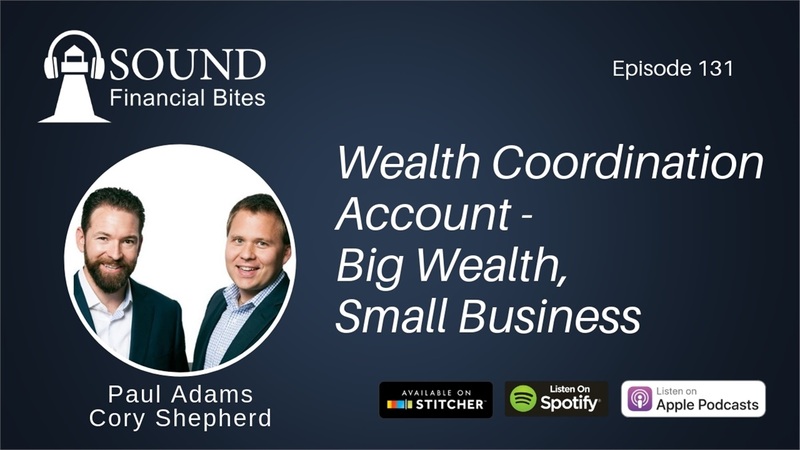 In this episode of the Sound Financial Bites Podcast, Paul and Cory dissect the Wealth Coordination Account and its relationship to big wealth and small business. Paul and Cory talk about the importance of having a financial mechanism that you have total control and autonomy over on a consistent, ongoing basis. They provide the true definition of an asset as it relates to this account and break down the misconception Americans have about the concept of savings. Finally, Paul and Cory discuss the one aspect that plagues business owners and affects their ability to achieve true financial independence.